Hundreds of millions of taxpayer dollars are on the line when Phoenix voters cast their ballots this November. They will decide whether to end the costly pension system for city workers and replace it with a plan similar to a private-sector 401(k). But for many voters, the dilemma is knowing if the proposal will save money. The answer depends largely on who’s doing the math. Supporters of the ballot initiative, known as the Phoenix Pension Reform Act, say it would save taxpayers nearly $200 million in the near term. Opponents point to a city study projecting it would cost up to $651 million extra over the next 20 years. Adding more tension to the debate, Phoenix officials also are exploring the possibility of creating their own reform proposal to place on the ballot. The stakes are high. 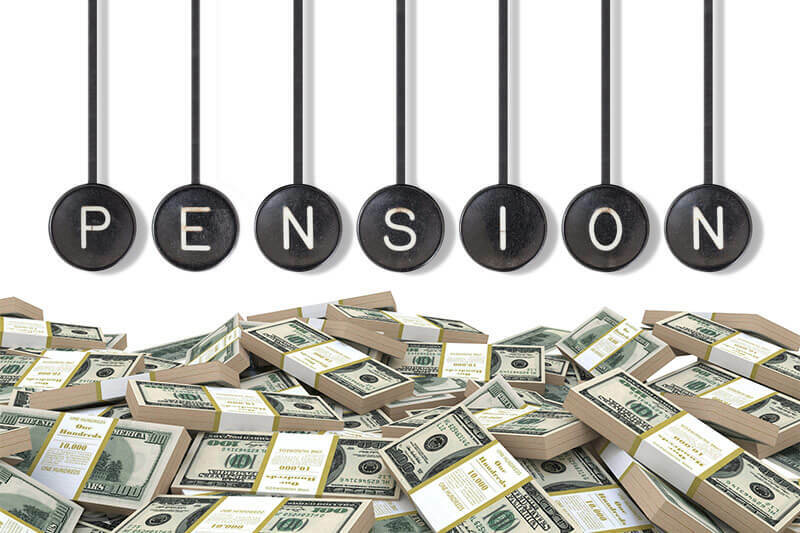 Phoenix’s pension payments have grown by at least $20 million per year for the past four years at the same time the city has raised taxes and reduced employee compensation. If voters approved the measure Nov. 4, it would move Phoenix to a 401(k)-style defined contribution retirement plan. The city would contribute a set percentage of a new employee’s pay to an account. Only existing employees could remain in the pension system and have a guaranteed income at retirement. The initiative also would toughen and make permanent reforms the city has made to combat pension spiking, which has allowed some employees to inflate their annual pension payments by tens of thousands of dollars. At the heart of the debate over the initiative’s cost is whether the city can and should reduce employee compensation to offset the upfront higher costs of moving from a pension to a private retirement system. It’s both an ideological and legal argument either side concedes may ultimately have to be resolved in court. Supporters and critics agree that closing the pension system would eventually save Phoenix money. What’s unclear is if the city must pay more up front over roughly the next 25 years as it makes the transition. Moving to a 401(k)-style plan itself would cost more initially because the city must pay down its massive unfunded pension liability while funding a new retirement plan. Other changes would offset those costs. But there’s disagreement whether those provisions can be implemented. Phoenix’s pension system for general employees, not including police officers and firefighters, is only 64.2 percent funded, meaning it doesn’t have the assets to pay about $1.09 billion in existing liabilities. In other words, the city only has about 64 cents on the dollar to pay for all liabilities. The city must fill that gap regardless of what retirement system voters decide. Supporters of the initiative, led by the conservative Arizona Free Enterprise Club, released a report suggesting it would save the city money up front by stopping spiking and eliminating a second retirement plan, known as deferred compensation, which city workers currently receive on top of their pensions. Phoenix this year is spending about $16.6 million on deferred compensation for employees, excluding police and fire. Supporters argue the initiative would move Phoenix to a less-risky retirement plan, protecting taxpayers from billions of dollars in potential costs and, ultimately, tax increases. Under the current system, the city’s costs fluctuate unpredictably. Taxpayers must foot the bill for pension payments not covered by employee contributions and investment yields. Like many public pension systems across the country, the City of Phoenix Employees’ Retirement System has struggled in recent years, especially as the recession hampered its return on investments. Citywide pension costs have soared to $266.1 million for the budget year that starts July 1, up from $35 million in fiscal 2003. That’s a 660 percent increase. Meanwhile, an alliance of city leaders and employee unions is gearing up to fighting the initiative, which the alliance says will cost the city far more over the next 25 years. It contends the reform group is a “dark money” operation funded by right-wing extremists and Wall Street players who would profit if all city employees had 401(k)-style accounts. It’s unclear where the pension reform act campaign receives its money. The bulk of its contributions come from the enterprise club, a non-profit corporation that’s not required to disclose its donors, and Mussi has declined to release such information. Opponents pin their cost projections on a report the city released last week that suggests closing the pension system could cost anywhere from $42 million to $651 million more over the next 20 years, depending on how much the city contributes to the new 401(k)-style plan. The initiative lets the council determine the contribution rate, up to 8 percent of pay. Beyond the costs, union members say the initiative would not provide a stable retirement for future employees and could hurt Phoenix’s ability to attract and retain talented workers. Most cities and government agencies offer a pension system, and many have rejected 401(k)-style systems, citing concerns about transition costs and recruitment. Reform-act changes would mostly apply only to new employees. The Arizona Supreme Court and Maricopa County judges have struck down changes to retirement systems for existing employees, leading many to believe similar changes to the city’s system would not hold up. But the city contends some areas of the initiative targeting pension spiking could be thrown out in court because they impact existing employees and are part of the city charter. Supporters said the changes also would not affect police officers, firefighters or elected officials because they are under state-run pension systems. However, some city officials question whether the initiative is worded clearly enough to prevent impacts to public-safety workers. Projecting the outcome of the reform act is a complicated task shaped by assumptions both sides have made about Phoenix’s future costs as well as potential legal issues, along with fluctuating investment returns and employee population change. However, there is a stark difference in how the city and enterprise club conducted their analyses — one that supporters of the pension overhaul argue shows the city’s report is biased. The city’s study didn’t account for potential savings included in the ballot measure, such as the elimination of deferred compensation and pension spiking. Deputy City Manager Rick Naimark said a board of mostly Phoenix retirees and employees who oversee the pension system made that decision and directed its actuary to prepare the report. Gleason, who sits on the board, said they did not include deferred compensation and legally questionable measures because the city can’t reliably implement them. She said that deferred compensation is part of the city’s contracts with the unions, given in lieu of pay raises, and that the city would likely still need to pay them in some other form until the contracts expire in two years. But Councilman Jim Waring, a fiscal conservative and supporter of the reforms, said that by leaving key provisions of the initiative out of its projections, the “city’s elders” opened themselves to criticism. Others behind the measure have accused city staff and the pension board of harboring a conflict of interest and cherry-picking information. Waring said the city will likely face lawsuits over any changes it makes to the pension system. He said the council could wait two years to cut deferred compensation when its new employee contracts expire. and has no obligation to better compensate employees elsewhere if it scraps the second retirement plan. The proposed overhaul comes after city voters passed a series of pension reforms last year. Among the changes was a requirement that municipal workers hired after July 1, 2013, split pension-fund contributions 50-50 with the city and work longer before retiring, moves expected to help save $596 million over 25 years, according to the city. Anthony Randazzo, director of economic research for the Reason Foundation, a think tank that advocates free-market policies, said the initiative will improve benefits for new city workers and help the city “stave off a recruitment nightmare.” He said the 2013 reforms could eventually require new workers to contribute up to 25 percent of their paychecks to the pension system. Under the initiative, existing employees could transfer over to the 401(k)-style plan, an option that could be attractive to a few hundred workers hired after the 2013 reforms. Next year, those employees must contribute 14.8 percent of pay to the pension system. Employees hired before the reforms have to contribute 5 percent. On Tuesday, the council unanimously agreed to explore a plan for a second ballot measure that would make smaller changes to reduce costs while keeping intact a pension system that serves nearly 14,000 current and retired city workers. Council members are expected to make a decision in coming weeks, but supporters of the move to a 401(k)-style system have accused some council members of trying to confuse voters by creating a competing plan. Robert Klausner, an attorney who specializes in representing public-pension systems, said he expects the initiative could put a unnecessary strain on the city’s budget given it already passed reforms to address pension costs. He said many states and cities have rejected 401(k)-style overhauls over the price tag, including Cincinnati last year. eprinted from The Republic. Podcast Article by Dustin Gardiner, The Republic | azcentral.com. Read the original story here. Javi is our fearless mascot, he loves donuts AND avocados.